The gunman who killed 58 people at a Las Vegas concert shot a hotel security guard minutes before opening fire onto the crowd, authorities said Monday, shifting officials’ timeline of the slayings. The guard was shot six minutes prior to gunman Stephen Paddock opening fire onto a crowd of thousands at a country-western concert last Sunday, Clark County Sheriff Joseph Lombardo said Monday afternoon. Nearly 500 people were wounded in the mass shooting, the deadliest in modern American history. “He was injured prior to the mass volley of shooting,” the sheriff said during a Monday afternoon news conference. Jesus Campos, a guard at the Mandalay Bay Resort and Casino, was investigating an open door alarm on the 32nd floor of the hotel when he encountered the gunman at 9:59 p.m. local time (12:59 a.m. ET). The open door was not in Paddock’s hotel room, he said. The shooting spree began around 10:05 p.m., police said. “The timeline associated with the original shot of Mr. Campos has changed through investigation,” he said. “What we have learned is that Mr. Campos was encountered by the suspect prior to his shooting to the outside world,” he said. Officials had previously said that the guard was the first to confront Paddock and was injured during the mass shooting. Campos was shot in the leg, but survived, authorities said. Lombardo also said that authorities “do not know” what caused Paddock to stop shooting. The gunman was found dead after officers responded to his room, but it remained unclear when — and why —he took his own life. The sheriff said authorities were still investigating a motive behind the mass shooting, but they had uncovered no evidence that a second shooter was involved. They also had no intelligence to indicate that Paddock, 64, was linked to any terrorist groups or extremist ideologies, he added. "Currently we do not believe that there is one particular event in the suspect’s life for us to key on," he said. “We believe he decided to take the lives he did and he had a very purposeful plan that he carried out,” he added. The gunman's car contained explosives, the sheriff said, but did not have any trigger mechanisms. Authorities believe he checked into the hotel on Sept. 25. Paddock reportedly described gambling by night and sleeping by day, while taking Valium for anxiety in a court deposition taken four years before the shooting. 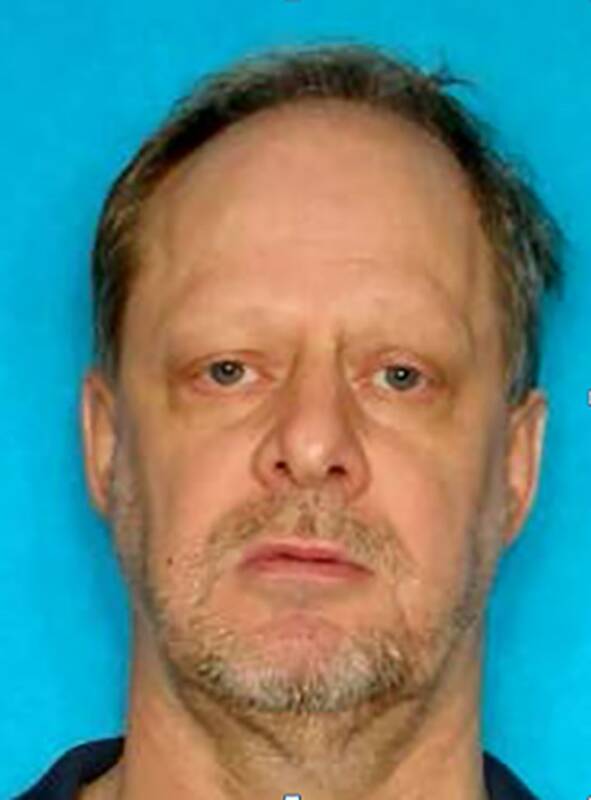 Lombardo also confirmed on Monday that federal investigators returned to search Paddock’s home on Sunday in Mesquite, Nevada, as well as other property belonging to the suspect. The search of the gunman’s three-bedroom house was for "re-documenting and rechecking," local police Chief Troy Tanner, who accompanied FBI agents as they served a search warrant, told the Associated Press on Sunday.